The Handbook of Training Technologies offers trainers, human resource managers, instructional designers, and consultants a comprehensive volume that contains an array of training technologies and explains the methods to support them successfully. This important resource offers an understanding of the basic principles that underlie training methods and the use of technology training in the workplace. The authors provide a primer for the four pervading and more advanced technologies used in business training the Internet, computer–based training, knowledge management systems, and decision support tools. Appropriate for those who have little or no formal training in educational technology, this book addresses such topics as the decision to use, the pros and cons for using, and presentation strategies for media as varied as the Internet, teleconferencing, videoconferencing, satellite distance learning, and electronic performance support systems. The authors also explain Interactive Learning Activities (ILA) and they offer important information, techniques, and tools for conducting assessment and evaluation activities of technology–based instruction such as multimedia instruction, online training, e–learning strategies, and distance learning methodologies. In addition, the book provides an overview of how emerging technologies are selected and managed. 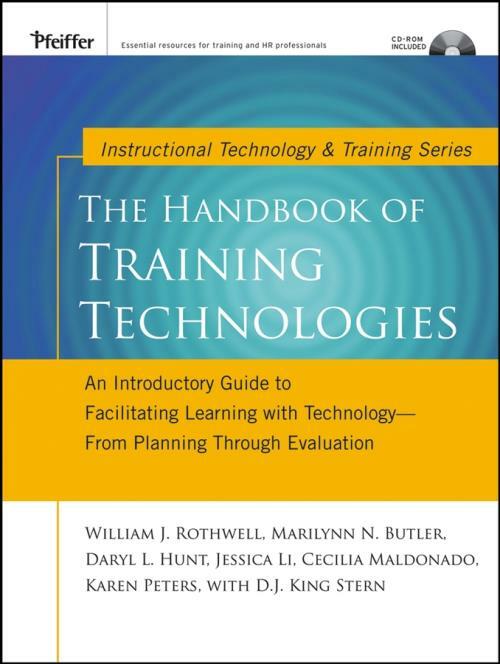 The Handbook of Training Technologies is filled with helpful checklists, case studies, worksheets, critical success factors, instruments, and other practical tools.